In a statement, Russia said, "We noted the test of anti-satellite weapons conducted by India on March 27, as a result of which an Indian spacecraft - a target - in a low earth orbit was hit by an interceptor ballistic missile." New Delhi: Russia has urged India to join the idea of developing a multilateral legally binding instrument for keeping outer space peaceful based on the Russian-Chinese draft treaty just days after India announced A-SAT missile launch. 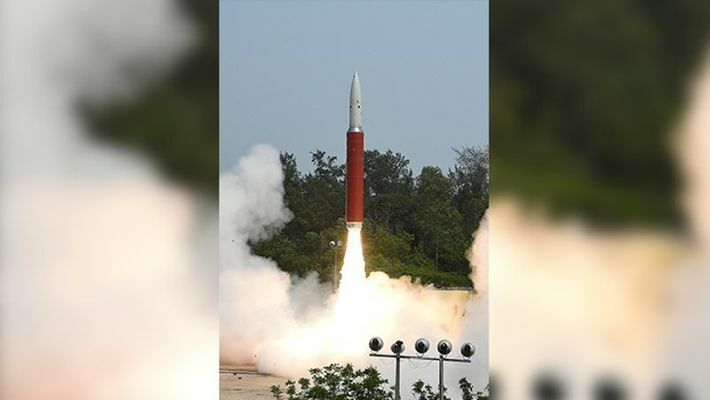 "We highlight the nondirectedness of this test against any specific country declared by the Indian leadership, as well as the reassurance of the continuity of New Delhi foreign policy to prevent the deployment of weapons in outer space and thereby the development of an arms race in it", the statement further read. Earlier China, while reacting to India's anti-satellite missile test, had expressed that it hopes all the countries will uphold peace and tranquillity in the outer space. In a written response on India successfully test-firing an anti-satellite missile, the Chinese Ministry said: "We have noticed reports and hope that each country will uphold peace and tranquillity in outer space". Russia slammed the United States for weaponisation of outer space and believes India's test is a result of a degraded situation in the field of arms race. Russia, in its statement, said: "We have to state that this action of India has been largely the result of the substantially degraded situation in the field of arms control." "Russia has repeatedly warned that the destructive actions of the United States to undermine the entire architecture of international security and strategic stability, including unilateral and unlimited development of the US global anti-missile defense systems, as well as the reluctance to abandon plans for the weaponization of outer space, make other states think about improving their own equal potentials in the interests of strengthening their national security" the statement added . "It is still possible to stop the arms race unfolding in various regions of the world. It is important to assist the responsible states in maintaining an adequate level of international security and stability," it added.